Wills by nature are not something people think a lot about and are often associated with the elderly. Recent research carried out by Royal London, YouGov, IRN Research and Orchard has revealed some interesting statistics about wills. 5.4 million adults do not know where to begin when it comes to writing a will. Around 54% of adults do not have a will. Six in Ten (59%) parents do not have a will or have one that is out of date. It is very important, if you are a parent with young children that you have an up to date will. Parents can specify in their will who they wish to be guardians for their children (who would look after them) – if their children are under 18 and they lose both of their parents. Furthermore having a will also ensures that children are provided for financially. If parents do not have a will, children are entitled to their inheritance at the age of 18. Inheriting a large sum of money at 18 can often do more harm than good. In a will inheritance can be delayed past the age of 18 or put into a trust. This allows your chosen trustees to make decisions about how the inheritance is used. Research has found three in ten (31%) people have experienced a significant life event, such as getting married or having a baby but around 53% have not updated their will. As a result this could mean that children are not provided for. Many people may not know that marriage invalidates an existing will. It is therefore important that wills are reviewed regularly and kept up to date. It is always a good idea to review your will after significant changes of circumstances. For example having children, getting married or divorced or losing someone who is named in your will. This ensures that the will still carries out your wishes. More than half of the population use a solicitor to write their will and the majority of people described the process as quick and easy. Eight out of ten customers were either satisfied or very satisfied with the services provided by legal advisers. In addition many people return to a law firm they have previously used in the past. Six in ten of the population are unaware that will writers are unregulated. This means anyone can set up a business as a will writer with no experience or training required. Solicitors and law firms however, are subject to strict regulations. This offers much more protection and expertise. 19% of the population went to will writers and out of this 61% were unaware that will writers were unregulated. 51% of the people who were interviewed said that they thought will writers should be regulated. Around 80% of those polled were charged fixed fees for wills but only 68% paid the fee which was quoted at the start. Fixed fees are now extremely common in the wills market and most law firms now charge on a fixed fee basis for wills. Fixed fees are also now commonly used in estate administration. Around 68% say they would be happy to produce a will themselves if it kept the costs down and around 3% tried to make a will themselves but ended up having to call a solicitor or will writer. There is a risk involved when preparing a will without the use of a solicitor. The will may not be valid if it is incorrectly signed and witnessed. If certain terms of the will are unclear, gifts may fail and wishes may not be carried out. When using an unregulated will writer, if there is a problem with fraud, dishonesty and misconduct, there is not much protection for consumers. Will challenges under the Inheritance (Provisions for Family and Dependants) Act 1975 and contested wills are becoming more and more common. Some challenges are brought on due to deficiencies in the will preparation or the will making file. These challenges can sometimes be avoided if the will or the file has properly been prepared. 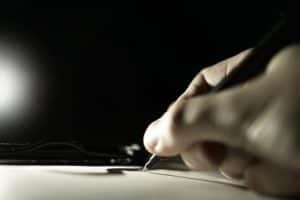 Homemade wills and those drafted by none professionals can be more likely to attract a prospective claimant because any claims and challenges are much more likely to succeed. Also, unlike solicitors, unregulated will writers will not necessarily have insurance in place to cover any future claims made due to negligently drafted wills. We would always advise everybody to consider making a will and to make sure that it is prepared by a firm of solicitors who specialise in this complicated area of law. A will is one of the most important documents you will ever make so we would advise you to do everything you can to make sure it is done properly. Call our wills, trusts and estates team now on 0800 988 7756 or submit an enquiry.